Brian Kelley is a lifelong resident of the Florida Panhandle, as well. After graduating from Mosley High School, Brian Kelley attended Florida State University and received undergraduate degrees in history and English literature. He attended Law School at Florida State University. During Law school, Brian Kelley developed a passion for criminal and constitutional law and was awarded two prestigious Book Awards (awarded to the individual who receives the highest grade in a law school class) for Constitutional Law and Constitutional Criminal Procedure. 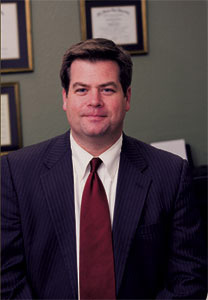 Brian Kelley was admitted to the Florida Bar in 2000. He returned to his hometown of Panama City and accepted a position as an Assistant State Attorney for the Fourteenth Judicial Circuit State Attorney's Office. During his eight and a half years as a prosecuting attorney, Brian Kelley handled thousands of criminal law cases and tried over 80 cases as lead counsel. These cases ranged from misdemeanor offenses, like Driving under the Influence (DUI / DWI) and Domestic Battery, to serious life felonies, including Second Degree Murder and Vehicular Homicide. During his eight and a half years, Brian Kelley has practiced in every felony criminal trial division in Bay and Gulf Counties and appeared before almost every circuit judge in the Fourteenth Judicial Circuit.